Starboy’s Spotless comes through with a brand new single titled ”The Benz” featuring Triple MG Afro-beat & Afro-pop superstar, Tekno. 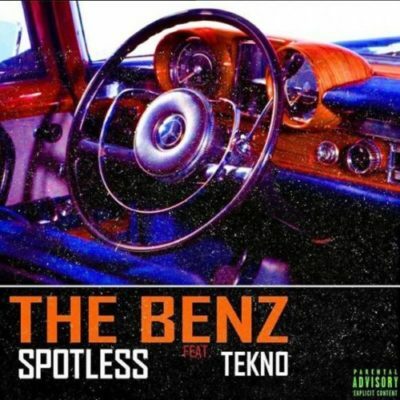 Finally after alot of speculations about the Miles brothers not working together, Spotless teams up with his elder brother, Tekno to dish out his first official single for the year 2018 he tagged ‘The Benz‘. Spotless who also has magical skills with instruments and also good at singing like his brother Tekno delivered a masterpiece as you will find it hard to identify both act of this mid-tempo dance jam. Spotless has already made an impression on the Nigerian music scene with production credits of L.A.X Runaway & Panana, Tekno’s Mama record which featured Wizkid and also delivered a stellar verse on Soco by Starboy crew, keeps it topnotch with Tekno on this smashing song finished by Stgthaprodigy.